I had a mobile unit come to my home. Excellent service. Arrived at stated time with correct product. Will recommend and use again in the future. Good service. Friendly approachable staff. staff were professional and speedy, I would not hesitate to recommend to friends and family. 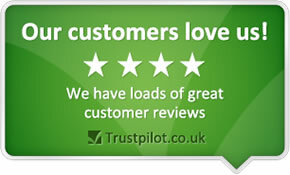 very helpful service,great customer care,reasonable prices,could not have been nicer,would recommend. The Staff at Aylestone Road Leicester were extremely helpful and put my new tyres on and spare back very quickly and explained about buying two tyres and getting a discount. Let down by Formula 1 who said they had the tyres I wanted, went to get them fitted only had one tyre, said that they could get the other one for the next morning phoned them 3 times throughout the day said they would call me when there's arrived never called me back, would not recommend to anyone. Called John at National in Leicester 5 mins before they closed, had what I wanted, arrived at 8:30 next morning all fitted by 9:00 . First class job, frendly staff, very clean workshop will use again and would recommend to anyone. Open on Sundays and have stock of all tyres. The superb service. Very helpful at changing the two tyres that were slashed and hoovered up the glass from the smashed rear windscreen. Friendly informed staff. Willing to make appointments to suit the customer. Value for money. Advice on other motoring issues were useful. I have always found the service to be helpful and efficient. Prices are competitive.